On the third day we left from Pereira and drove for an hour along the scenic “coffee highway” on our way to Chinchiná. Today would contrast yesterday’s fun on the farm with a more microscopic view of coffee at Cenicafé, the Colombian National Research Center—one of the world’s largest coffee research labs. 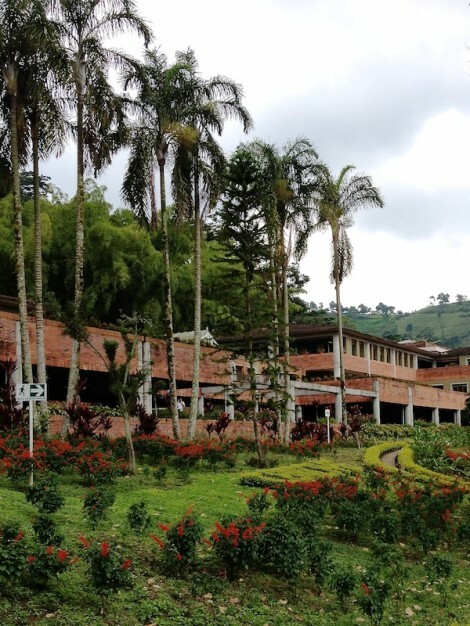 Sitting atop a mountain in the west Andes, Cenicafé is a beautiful research campus where a large team of scientists, engineers and agronomists work on programs that range from genetic mapping, coffee processing technology and biodiversity preservation. I had the pleasure of meeting with several of these brilliant minds who shared way more knowledge than I could absorb in one day, but I was introduced to new concepts and perspectives I had yet to consider in my understanding of coffee. We began the morning meeting with Dr. Huver Posada, who talked about the Denominations of Origin program. 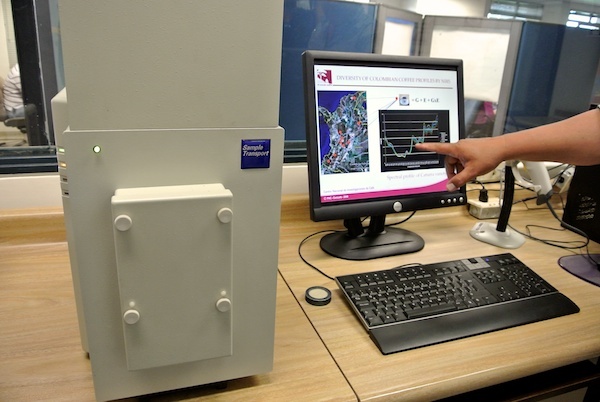 The DO program is tasked with mapping chemical markers within coffee from all around Colombia to determine specific environmental traits that contirbute to certain qualities of Colombian coffee. 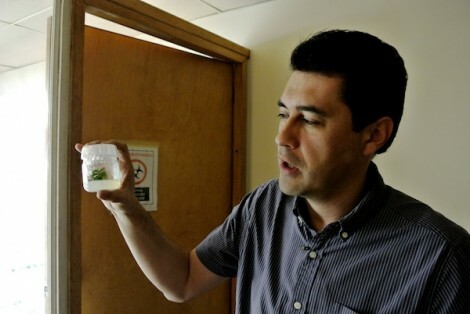 Using an infrared spectroscopy machine, Dr. Posada can test samples of coffee to capture and catalog data that includes levels of caffeine, acidity, sugars and many other chemical compounds. This information can be used to not only determine expected qualities based on where a coffee is grown, but it can also be used to authenticate a coffee’s origin. Next we met with Dr. Alvaro Gaitán who gave us a tour of the campus and several labs while discussing Cenicafés genetic improvement program. One of the many projects by Dr. Gaitán and his colleagues include mapping the genome of various coffee species to study and compare gene arrangements. 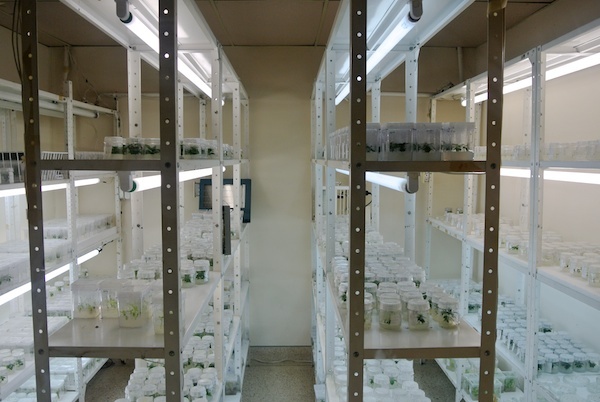 This allows them to clone the agronomically beneficial genes and try to develop solutions to problems that plague farmers, such as leaf rust and the coffee berry borer. 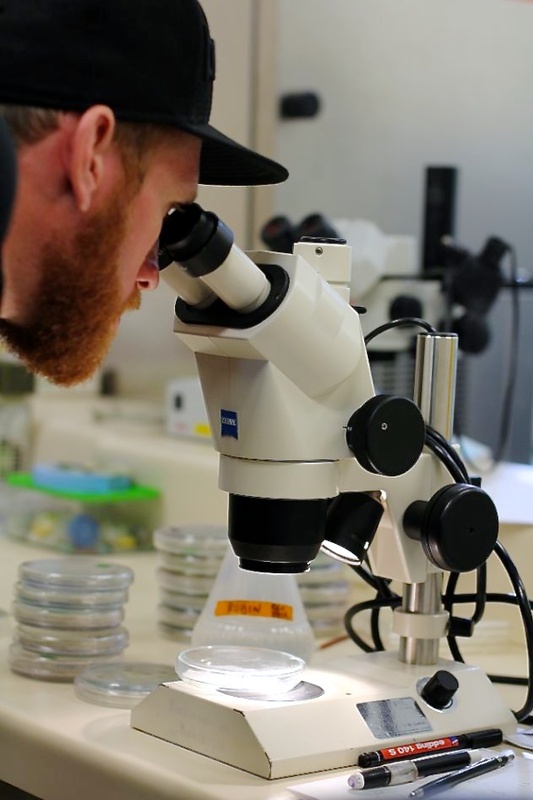 While enjoying your morning coffee, the last thing you probably imagine are shelves filled with cloned plant specimens and labs experimenting with beetle killing fungi. 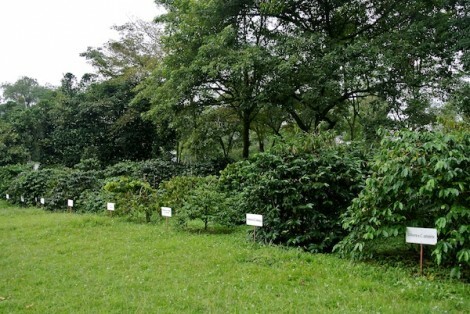 However, Cenicafé is where these scientific explorations of coffee take place to ensure that future generations of Colombian coffee farmers will still have their livelihood, should unmanageable pests and disease threaten their crops. After lunch I met Gloria Lentijo who works in the Biology Conservation Department at Cenicafé. She shared some of the work being done to study, understand and conserve the incredibly rich biodiversity in Colombia without sacrificing the farmer’s productivity. 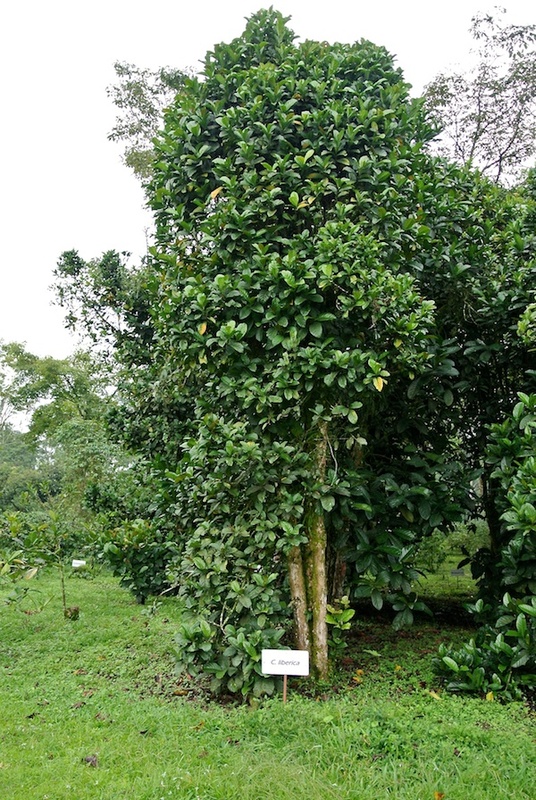 This department works with farmers to promote eco corridors that connect forests and vegetation patches on farms as well as how to properly use shade in regions where its needed. 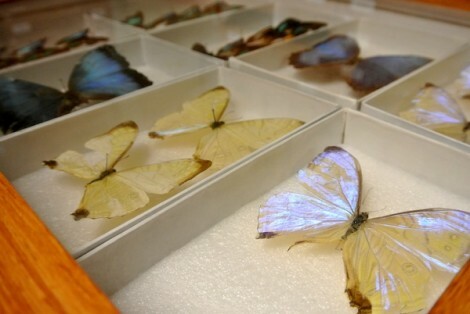 They’ve also cataloged hundreds of species of insects and wildlife that can be found throughout the country, which is also used to educate school children. 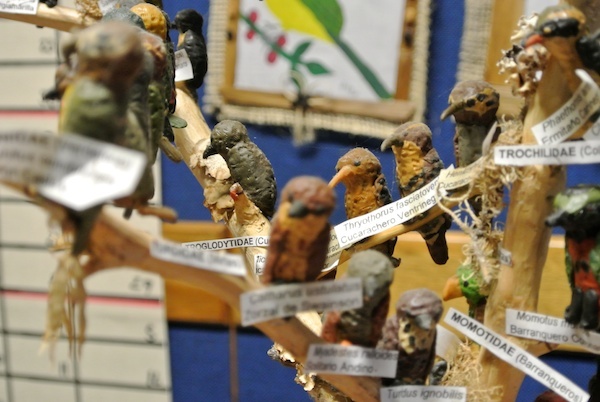 This information is shared with farmers in several ways, but one of the most interesting methods is through community bird watch groups created to foster appreciation and pride in the conservation of Colombia’s natural habitats. Next, I got to meet Dr. Rodrigo Sanz, an engineer who worked on the Becolsub, a technology developed by Cenicafé that I was eager to learn about in person. 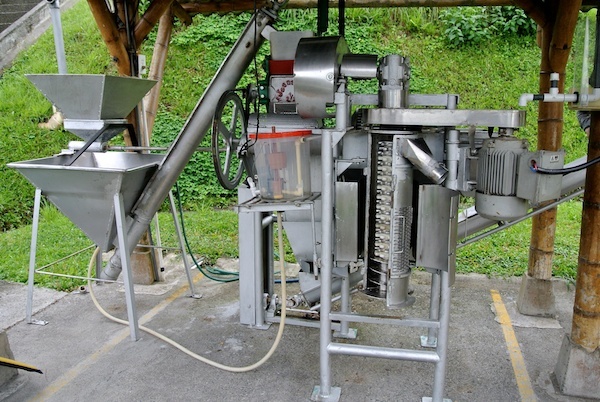 The system was developed to speed up coffee processing, minimize contamination and use less water. While the traditional washed process uses about 40 liters of water per kilo of coffee, the Becolsub uses less than 1 liter of water per kilo. The system consists of a standard pulper, driven by belts instead of a hand crank, that is connected to a “demucilager.” The demucilager is a small silo filled with knobby gears that spin at high RPMs. 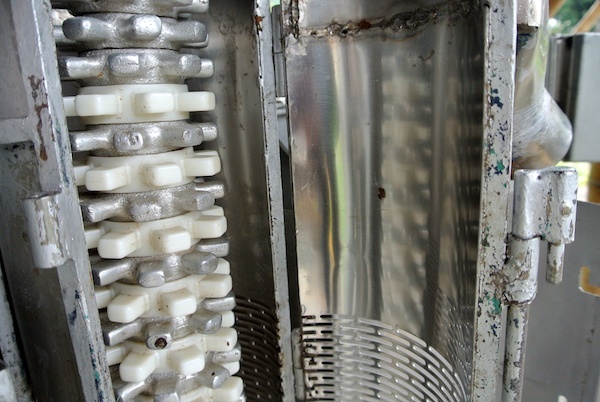 The depulped seeds travel up through the silo with a small amount of water and are washed clean of the mucilage—without having to ferment for the standard 12-18 hours. The expelled beans are ready to to be dried moments after the cherries enter the machine. I would have liked to cup the same coffee processed with both methods to see if there are any significant differences in the taste, but that would have required more time than we had available. This method of washing coffee is becoming more prominent in Colombia and similar systems are being used in other countries as well, but the coffee is generally labeled as “washed processed.” I’d be interested in learning more about the Becolsub’s effect on flavor development—if any—as well as seeing more coffee labeled specifically with this processing technique out of sheer curiosity. 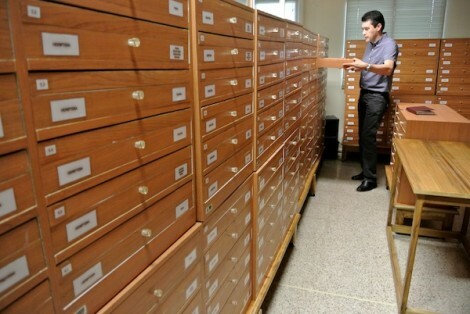 Before leaving Cenicafé, I spent the afternoon exploring the varietal research collection that features row upon row of varieties and hybrids that include plants from the Arabica, Canephora (Robusta) and Liberica species of coffee. It was incredible to see how drastically different coffee plants could be from one another. 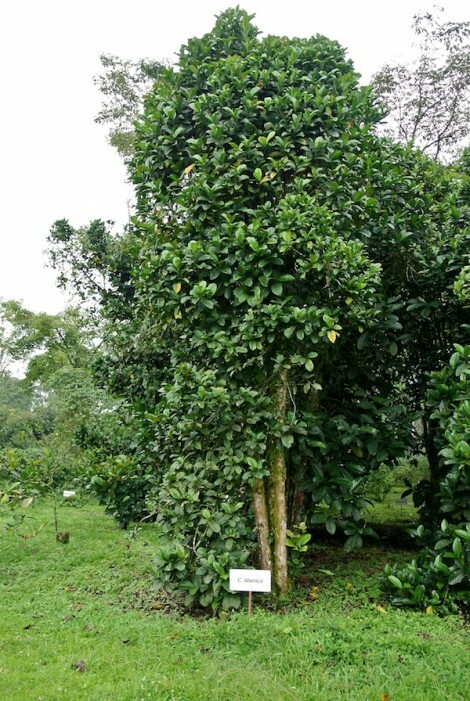 From the strikingly tall Liberica trees to the bushy Timor and the spindly Bourbons. A truly great experience. 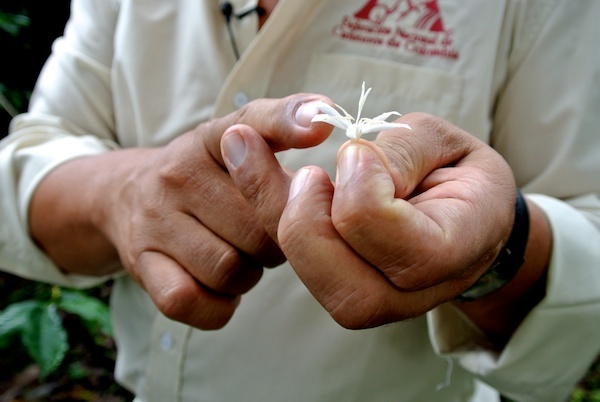 Dr. Posada met back up with us in the field to discuss cross-pollination and to talk about the development of Castillo. 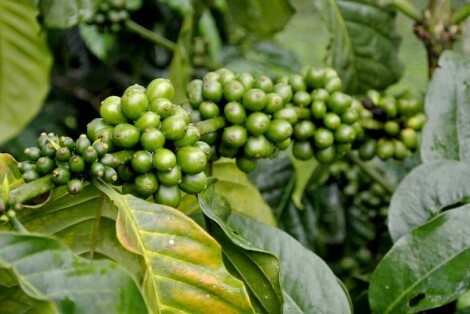 This variety, formerly known as Colombia, is a product of cross-breeding Caturra with Timor varieties to develop a coffee that’s resistent to leaf rust with a high yield and short height that contributes to easier harvesting. I often hear people suggest that Castillo doesn’t produce good coffee, but my experience during this trip found that to be an exaggerated stereotype. 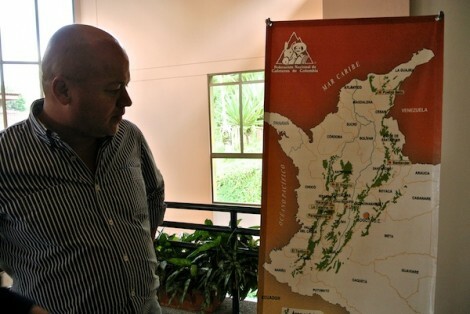 I had great coffees that were both Castillo and Caturra grown in Colombia. Just as one can find good and bad Caturra or Bourbon, there is also good and bad Castillo to be found. After seeing trees that have been decimated by leaf rust on some of the farms I visited, it’s easier to understand the farmer’s needs to address the problem however they can. 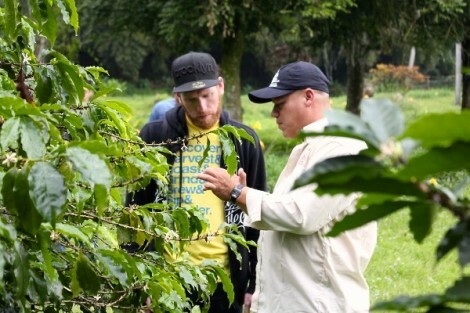 While quality may be of upmost importance to roasters, baristas and consumers—the ability to grow coffee is of greater concern to the farmers. 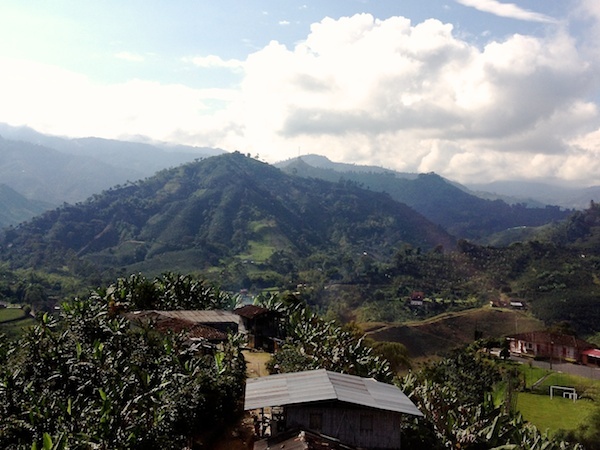 As we rode along the winding roads to the airport, I watched the passing towns and thought about the immense depth of scientific research and development found behind the humble coffee bean. 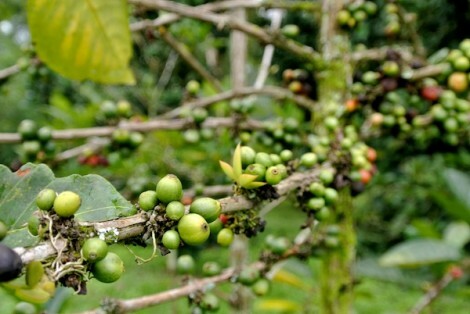 People frequently toss around a statistic stating that coffee is the second most traded commodity after oil, if so, one should assume there is an industry of research behind it—I just never considered how advanced it might be until now. The energy and resources that the FNC and Cenicafé have invested into its coffee industry is impressive to say the least. I know that each origin has it’s own unique issues, but many of the solutions I’ve experienced here are interesting, inspiring and definitely worth studying in a greater capacity. Next stop, Bogotá.